Sean Mack of Short Fuse Media Speaks – INDIE VOLT! week for you and the other people at Short Fuse Media, I’m sure. Indeed. Thanks for the interview. Where are you from? When did you decide to get involved in comics? Where does Short Fuse Media come in? Well…I’m from Detroit, Michigan. Born and raised. I’ve been a comic book fan since I was a child when my dad would take me to the barbershop and I would read the comics that were left on the tables. I was really into the whole mythology of superheroes and at the barbershop I was introduced to my first crossover. That’s what really caught my attention. Batman vs. Predator. We started off as a production company doing graphics and web design for other people and companies. As a birthday present for my son on his 11th birthday, I decided to give him a mini comic featuring himself in his own story because he showed such great interest in superheroes. In the end, he loved it so much and showed so many of his friends that we added it to the production services that we offered and it grew from there. You’ve got quite the catalog of books available on your online store, there are publishers who struggle to put out two to three books a year, how do you manage to do so many? We started off with one book as well which was our Like Father, Like Daughter series. 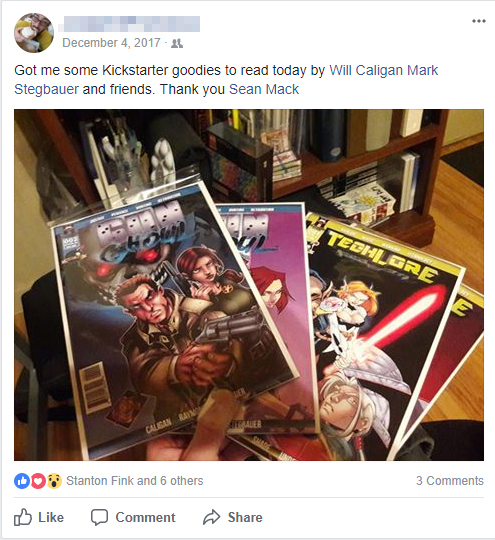 After our first successful Kickstarter for issue #1 of that series, we started to get creators asking if they could pitch to us. We’ve never really accepted pitches on comics (still don’t) but we were interested in seeing if we could apply what we had learned launching this series on different titles. We reached out to a creator that had ran into some issues with fulfilling rewards on his own Kickstarter to see if we could help him out and potentially bring him onto our team as we really saw promise in the book that he had successfully funded, which was called Gritt. The creator opted to sell the series to us outright though. So that was our first addition to the roster as well as the only character that is owned by Short Fuse Media Group to this day. Soon after, we added a few more titles and created our first division with the launch of our Heroes: Ignited Imprint and accompanying Anthology. It was all downhill from there. You’ve also got action figures that are professionally produced? Not to dismiss any other publishers attempts at an action figure line but Short Fuse designs and produces these figures pretty much in-house? Yes we do. However, the figures are all custom made at the moment. Conversely, we’ve made figures for multiple creators even outside of our roster. We’re working on a line of figures that are mass produced so we can lower the costs and have stock of the figures, but it’s proven to be a lengthy process. But we never give up once we decide we want to do something, so it’ll eventually get there. We just want to ensure that it’s right. You just a few weeks ago, funded the Vigilance Kickstarter, that project created a bit of buzz in the indie comics social circles, tell us a little bit about that? Well…In 2017 we started a trend of fulfilling Kickstarter rewards fairly quickly after campaigns ended. Vigilance was the third campaign that we attempted this on and the supporters from the previous few campaigns jumped onboard pretty quickly, helping us to fully fund the project in just six days. The actual series was also a spin-off series of the title that we had just launched (Hotshot) on another division that partnered with us called Freestyle Komics. So it seemed to work out in the end for sure. 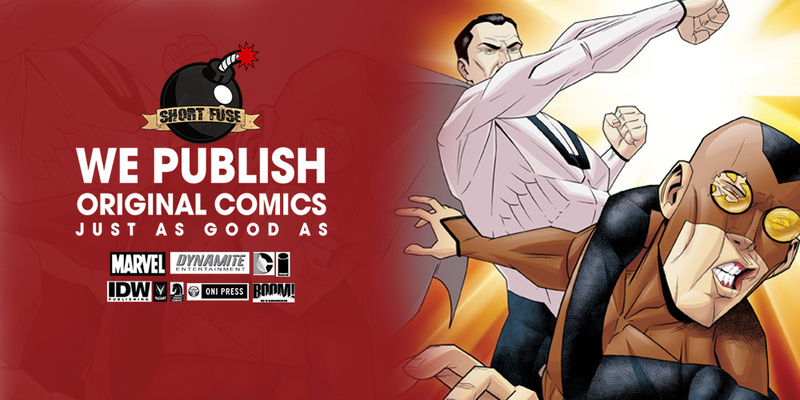 It’s bizarre in a way, Short Fuse Media has a vast amount of readers and your own fellow indie publishers who support the company. That’s rare! But again it would seem that you’ve transcended the competitive nature of the industry; what’s the secret? The secret I believe is that we aren’t in a competition with any other (indie) publishers. Personally I don’t think you can be in a competition with anyone if you don’t have the same goals. And what I’ve noticed through my conversations with different publishers and creators, is that the goals tend to typically be different. Beyond that, I’ve helped multiple publishers and received help from multiple publishers since joining the community. We share knowledge and strategies among each other to ensure that everyone is successful. For me personally, I feel it’s just about being transparent in what you do. You support me and I’ll support you. I mentioned earlier that you give advice or post updates/statuses reaching out to your fellow publishers and creators, that hasn’t always worked out how you’d hoped I’m sure. 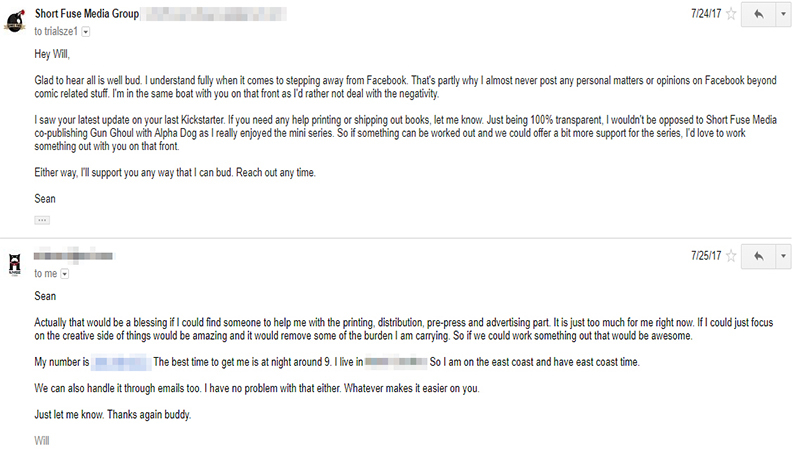 There was some backlash over the #WeAlwaysDeliver campaign that came from other creators right? Indeed. Sometimes people take things out of context. That’s usually resolved with a simple conversation though. As far as the #WeAlwaysDeliver campaign…that really boiled down to a few creators having an inner problem that they needed to deal with around there own performance. The promise that #WeAlwaysDeliver was always about us. It was never in reference to anyone else. Within our team it means something to get that product into people’s hands. So we used that to push ourselves. We committed to that. And it worked out really well. Did you ever during that time step back and say, hey maybe I’ll just stop reaching out? Not at all. Anyone that I ever felt had an issue with me I felt a responsibility to address head on. Otherwise, the situation could fester and potentially escalate. I make comics. And I want as many fans as possible so I actively work to quickly resolve any issues if possible. You do a FB live stream from time to time, where you invite publishers and fans alike to listen and interact with you, in a way that’s almost a new version of Stan Lee’s soapbox, except you’re willing to share “war stories” with other publishers, has that type of openness ever backfired on you or Short Fuse Media? For example, some side eye from fellow indie publishing houses? Not to my knowledge. If so, they haven’t let me know. LOL. I’ve only done a few as that was something that I started just this year as I saw that people seemed to like interacting with my indie business posts. Doing some of these LIVE question and answer streams have been really fun as I have been shocked at how many creators actually want my perspective on indie comics as a business. It was a hard decision for a multitude of different reasons. The first reason was that Will was a colleague that I had built a relationship with. That’s always hard to deal with when the issue that presents itself is not between you and the person that is causing the conflict. Mr. Mack provided documented correspondence between himself and Mr. Caligan before & during the recent blow up. The second thing that made it hard was that I initially handled the situation wrong. When the issue came up, I went on the defensive as my company was being attacked along with my name. So I focused on defending the company instead of talking to all of the parties involved to find the source of the conflict. When I finally focused on what the actual source was, and talked to all of the parties involved, it was fairly simple to make the decision. What’s interesting is that Will Caligan initially suggested the decision to part ways. My goal was to resolve the issue, and help Will to change the public perception of himself. If for no other reason, I felt it was best for his business. I personally don’t believe in allowing people to fail if you can help them to learn how to succeed. I thought that I could help him see that there was a bigger picture to look at that revolved around making comics. I told him to do as he felt he was compelled to do in the end. There are those who feel Short Fuse made the wrong call. What’s your response to that? Many of them don’t know or understand business or all of the facts. I’ll take blame for them not knowing all of the facts as I chose to remain quite beyond our press release. I felt enough damage had been done already. But there is certainly a false narrative that is being circulated by factions that Alpha Dog Studios have aligned themselves with now. 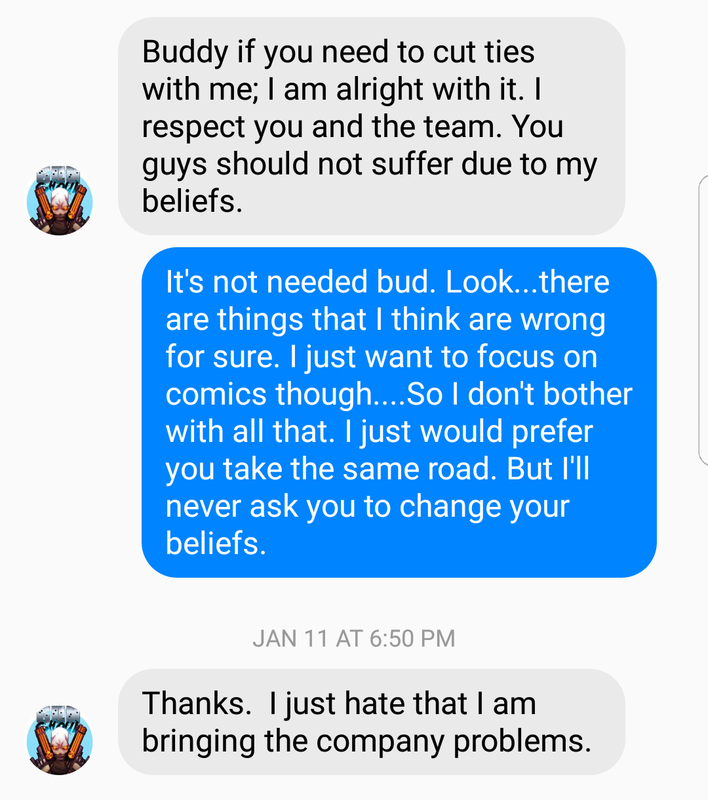 A big misconception is that we “terminated a disabled war veteran” and he is now “unemployed” and “can’t make comics”. That’s a completely ridiculous lie. First off, Will Caligan was never employed by Short Fuse Media Group. So there was no way we could terminate his employment. Will partnered up with us under the terms that he owned and operated Alpha Dog Studios. We merely provided support on the projects that were completed if the need arose and assisted with marketing and promoting for a portion of the profits. So unless he terminated himself from his own company, he has the exact same employment that he had when he partnered with us and can still make comics without any issues. The next misconception would be the so called “slander” that we used in our press statement. Slander is defined as “a FALSE and damaging statement (to someone)”. Not sure how false the statement of Will making comments that were offensive really is. I have multiple messages from people who were in fact offended. So that makes the statement true and therefore not “slander”. The focus of Will Caligan (the head of Alpha Dog Studios) seems to be on the comments that he made in some thread about the R&B singer Genuine. From Will’s perspective, the comments weren’t offensive. But as the person making the comments, you can’t also be the one to decide that people can’t be offended by your comments. That’s what I tried to get Will to understand. It’s one thing if one person takes offense to something you say. But when multiple people take offense, you have to have a bit of personal accountability and realize that maybe you said something offensive….and that needs to be addressed and rectified…especially when your business revolves around public consumption of your product. This was actually something that Will and I discussed when Alpha Dog Partnered with Short Fuse Media Group., as comments that Will had previously made publicly caused a backlash that made him completely exit social media and Facebook in particular. I wasn’t aware of the extent of the comments or who he offended, but he assured me that when he returned to Facebook, he would be focusing on business only and leaving personal matters out of the mix. So with being the case, Will wasn’t a man of his word. I honestly didn’t care what his views were, nor did I care about his religious beliefs as that isn’t what this was about. This was about our business of making comics. 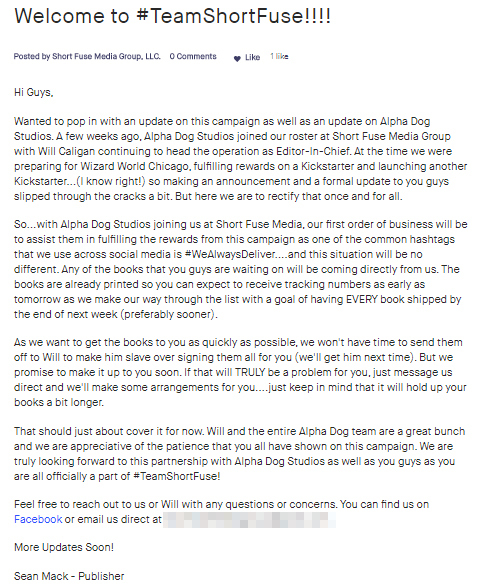 Until this point, Short Fuse had never been under any scrutiny and due to our association with Alpha Dog Studios, our company was being signaled out as well as the individual creators that were affiliated with us. It would have been a disservice to the rest of the team to allow that to continue. 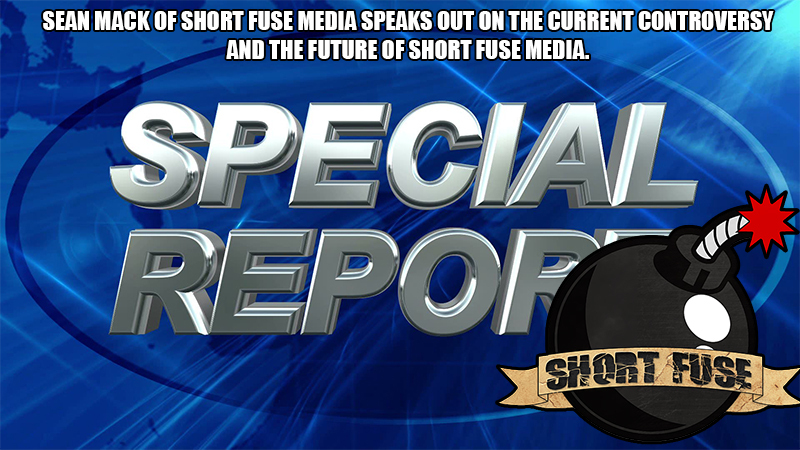 So where does Short Fuse Media go from here? You have any immediate plans for the future? What projects can we look forward to? We’re back to business already making comics. We’ve been working on our Stealth project from creator, William Satterwhite. That’s been tons of fun to work on. We’ve also been fine-tuning plans for our entire Red Band Division, which is headed up by Joshua Lucas. So plenty of new projects are coming for sure.